As coloring fans ourselves, we couldn’t help but toss our hat into the ring. 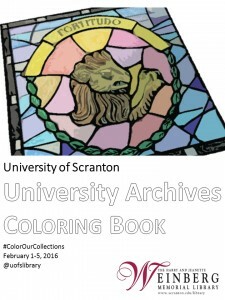 We’ve already shared a University Archives coloring book this week, but today we turn our gaze outward to our beloved city of Scranton. 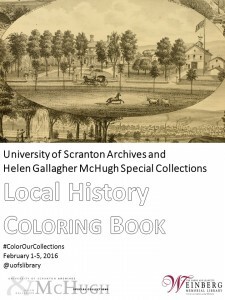 All of the pages in the book were created using images from the Library’s digital collections, most of which were digitized from original drawings, photographs, and publications from our University Archives and Helen Gallagher McHugh Special Collections. As coloring fans ourselves, we couldn’t help but toss our hat into the ring. 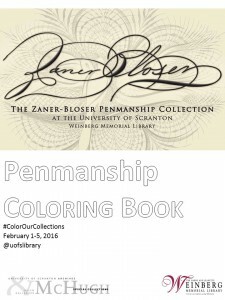 We have a few small coloring books headed your way this week, and here’s the first! 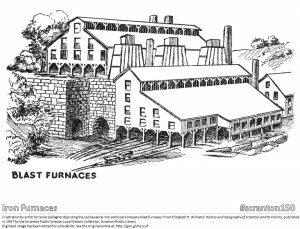 All of the pages in the book were created using images from the Library’s digital collections, most of which were digitized from original drawings, photographs, and publications from our University Archives.